You Are Here: Home > The Time Is Now! Get Your New Volkswagen Now! 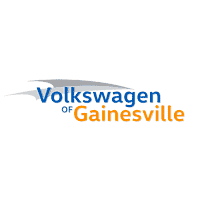 If you’ve ever wanted a new Volkswagen, then now is the time at Volkswagen of Gainesville! 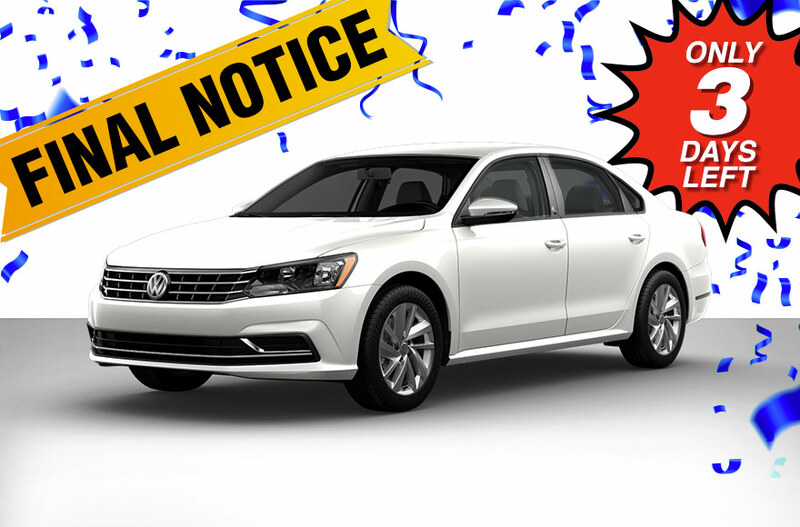 We only have until the end of January to sell 57 more Volkswagen models to receive our new allocation! 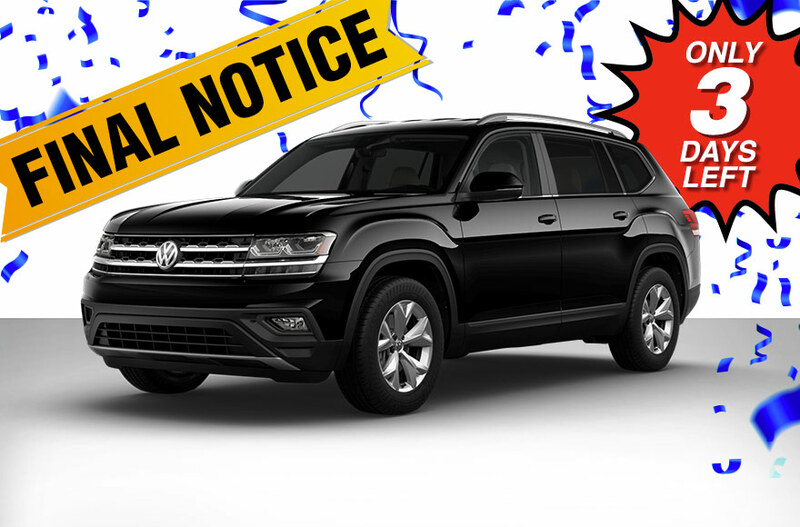 We MUST move these Volkswagen models now – so virtually every offer will be accepted! * GET HERE NOW! VIN: 3VWN57BU9KM07125. 36 month closed-end lease with $2,999 due at signing. No Security Deposit required. Additional charges may apply at lease termination. Offers require credit approval through VW Credit. Prices plus sales tax, $184 Private tag agency fee and titling, any dealer installed accessories and dealer service fee of $899, which represents cost and profits to selling dealer for items such as cleaning, inspecting, adjusting new vehicles and preparing documents related to the sale. Includes 10,000 miles per year with $.20 cents per mile over 30,000 total miles. Customer has option to purchase at lease end. See dealer for details. Offer expires 1/31/19. VIN: 3VV1B7AX3KM040643. 36 month closed-end lease with $2,999 due at signing. No Security Deposit required. Additional charges may apply at lease termination. 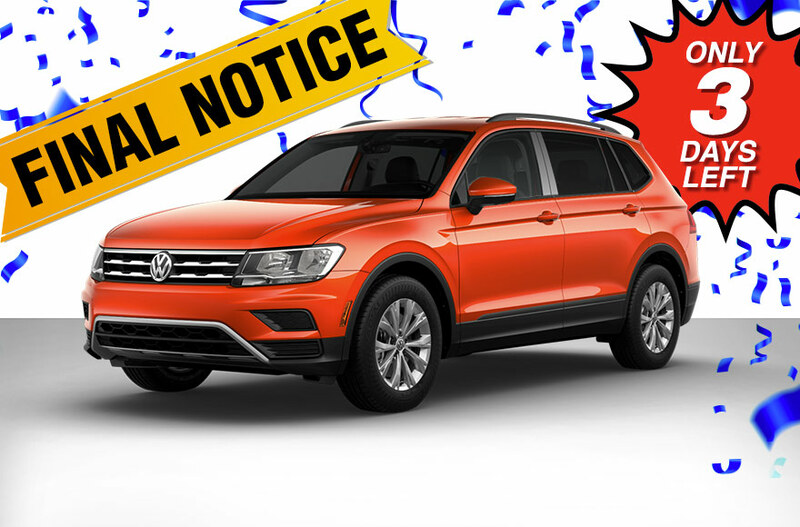 Offers require credit approval through VW Credit. Prices plus sales tax, $184 Private tag agency fee and titling, any dealer installed accessories and dealer service fee of $899, which represents cost and profits to selling dealer for items such as cleaning, inspecting, adjusting new vehicles and preparing documents related to the sale. Includes 10,000 miles per year with $.20 cents per mile over 30,000 total miles. Customer has option to purchase at lease end. See dealer for details. Offer expires 1/31/19. VIN: 1VWMA7A36KC002575. 36 month closed-end lease with $4,499 due at signing. No Security Deposit required. Additional charges may apply at lease termination. Offers require credit approval through VW Credit. Prices plus sales tax, $184 Private tag agency fee and titling, any dealer installed accessories and dealer service fee of $899, which represents cost and profits to selling dealer for items such as cleaning, inspecting, adjusting new vehicles and preparing documents related to the sale. Includes 10,000 miles per year with $.20 cents per mile over 30,000 total miles. Customer has option to purchase at lease end. See dealer for details. Offer expires 1/31/19. VIN: 1V2DR2CA4KC524145.36 month closed-end lease with $3,499 due at signing. No Security Deposit required. Additional charges may apply at lease termination. Offers require credit approval through VW Credit. Prices plus sales tax, $184 Private tag agency fee and titling, any dealer installed accessories and dealer service fee of $899, which represents cost and profits to selling dealer for items such as cleaning, inspecting, adjusting new vehicles and preparing documents related to the sale. Includes 10,000 miles per year with $.20 cents per mile over 30,000 total miles. Customer has option to purchase at lease end. See dealer for details. Offer expires 1/31/19. This is your final chance to save this month! 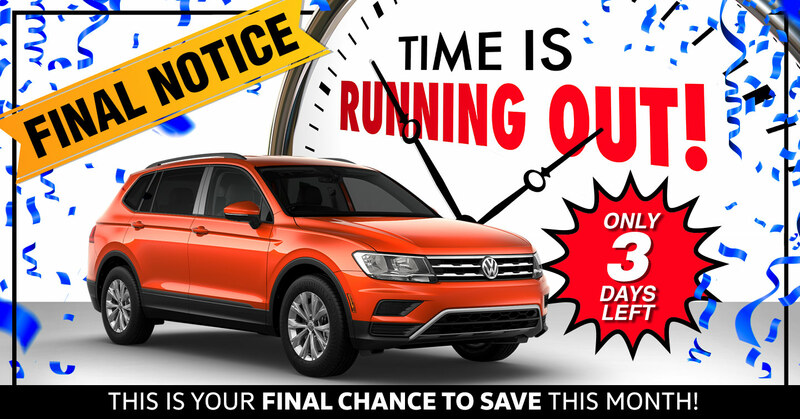 Get to Volkswagen of Gainesville NOW before time runs out on these Volkswagen specials! **With approved credit through Volkswagen Credit. Expires 1/31/19. 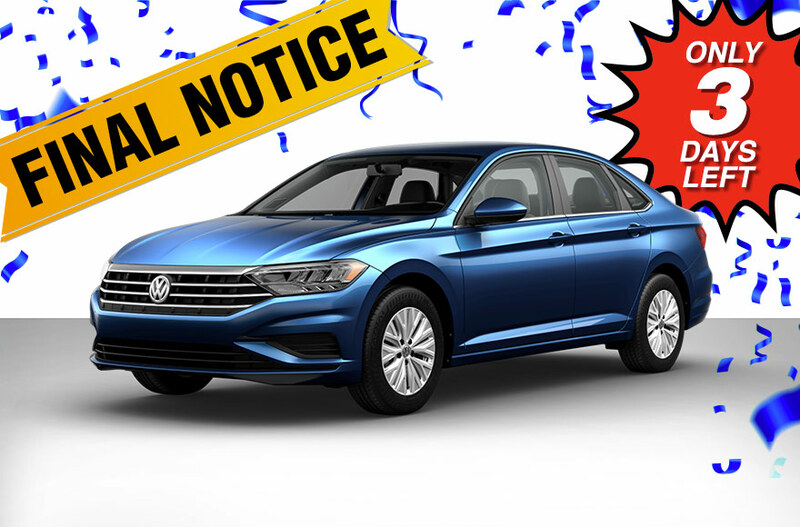 ^$0 down with approved credit through Volkswagen Credit. Expires 1/31/19.